1. Collect yesterday's assignment by 2:30 p.m. today. 2. You have FOUR options today. Option 1: Online tangram games -- you MUST keep your mind active. This game will do just that! Option 2: Online tangram game version 2. You must keep your mind active. This is another tangram game that will keep the neurons firing. Option 3: Fling that ANT. Option 4: Drive that TAXI. 3. HOMEWORK: Have a safe holiday break! Stay out of trouble. 4. HOMEWORK: Online activity is due tomorrow by 2:30 p.m.
reading assignment and turn it into me. 1. Density Activity #2: Does the size of an object affect its density? 2. Density Reading Assignment. You only had time to START this reading assignment. I will give you time tomorrow to finish this assignment tomorrow. 2. Identify objects based on density values. 1. Go over answers to the TBB analysis/conclusion questions. 2. Finish making density data table. 4. Find volume of these unknown objects using the displacement method. 5. HOMEWORK: NONE. You will finish this activity tomorrow in class. 1. Triple beam balance analysis/conclusion questions. You completed these questions in class. If you were absent, I have the questions posted to the right in the blue box. 2. Density activity. Glue/tape in background information. I will ask you questions about this background information and you will need to highlight your answer. 3. 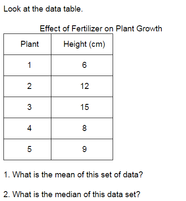 HOMEWORK: Make the data table posted below in your science journal. You will use this tomorrow to record data. 1. Complete Part 1 and Part 2 of the TBB (triple-beam balance) activity. 1. Begin triple beam balance activity - set up journal and practice zeroing a balance. 3. HOMEWORK: This ENTIRE virtual with both graphs and conclusion questions is due at the start of class tomorrow. The conclusion questions are listed below. 1.Regardless of season, why is energy usage different at different times of the day? Support your answer with evidence from the data table and graphs. 2.How does energy usage compare during different seasons of the year? Again, support your answer with evidence from the data table and graphs. * Last thing . . . make sure you have the following items on BOTH line graphs: Title, label for y-axis, label for x-axis, four lines, key, scale for y-axis, and scale for x-axis. 1. Email me your Excel graph that shows times vs. temperature. 2. Make another line graph that shows times vs. power output. You may either use Excel or you may go old school and make this graph on graph paper. Just remember, that this graph will end up having four lines on it. 3. HOMEWORK: You MUST have the second graph finished for the start of tomorrow's class. You will use the information on this graph and the first graph to answer conclusion questions tomorrow. 1. Activity: Measurement Graphing. You will use Excel to graph you data. 2. HOMEWORK: NONE. We will finish graphing on Monday and will complete the conclusion questions on Monday. 2. Activity: Measurement Graphing. You MUST have your data table done for the start of tomorrow's class. 3. HOMEWORK: Finish the data table by the START of tomorrow's class. 1. Activity: How many viruses can fit on a head of a pin? You will use your measurements from last night and will calculate how many viruses can fit on one side of this object. 2. HOMEWORK: Finish the 10-conclusion questions from the virus activity on a sheet of lined paper. I will collect these 10-conclusion questions tomorrow at the start of class. YES, you must write in complete thorough sentences. 1. Activity: How many viruses can fit on a head of a pin? We will finish the analysis/conclusion questions tomorrow in class. 2. HOMEWORK: Bring in the measurements of ONE item in centimeters. You will calculate the number of viruses on this item TOMORROW in class. 1. Activity: How many viruses can fit on a head of a pin? 1. Finish Virus Mini-Research Project. Turn in your science journal by the end of today's class. 1. Virus Mini-Research Project. I will give you today and tomorrow during class to work on this assignment. This assignment is due at the end of class tomorrow. 1. Formative Assessment: I need to see what you currently know, so you are going to do a little activity for me. 3. Activity should be done by the START of Monday's class. I'll give you the weekend so you can work on the extra credit. The picture below is what I had on the Promethean Board. 1. Complete activity you started with Mr. Scholz. 1. Complete the asexual reproduction slide assignment. 2. HOMEWORK: None. I will give you time on Thursday to complete the slide assignment. a. Explain how a yeast cell's nucleus splits. b. Count the number of yeast cells at the beginning of the Budding and Shmooing Video. How many new cells do you have every 30-minutes? Lesson for Mitosis Test Taker. 1. Check your school email. I emailed you your mitosis test. I set up the test to autograde. So, once you submit your test, check you school email. 2. Finish yesterday's lesson on asexual reproduction. a.) What is asexual reproduction? additional website resources to complete this part. c.) What are some advantages of asexual reproduction? d.) What are some disadvantages of asexual reproduction? 3. Begin Examining Yeast Activity. Lesson for students that took their mitosis retake test yesterday and still need to finish yesterday's work. 1. Finish yesterday's lesson on asexual reproduction. 2. Begin Examining Yeast Activity. Lesson for students ready to do the Examining Yeast Activity. Lesson for Mitosis Test Takers. You MUST have 1, 2a, and 2b done for the start of tomorrow's class. Ideally, you should have all of it done. Lesson for those who started researching Asexual Reproduction yesterday. 1. Define the six common types of asexual reproduction. 2. List at least three organisms that use each type of asexual reproduction. You will need to use additional website resources to complete this part. 3. What are some disadvantages of asexual reproduction? Lesson 2: Students wishing to start their studies of asexual reproduction. 1. Using the resources provided on this site, answer the questions/directives below. b.) List the six common types of asexual reproduction. 2. HOMEWORK: STUDY for tomorrow's quiz. 1. Grade Mitosis Flipbook - this is a completion grade. We will grade for notes accuracy soon, which means this THURSDAY! 3. HOMEWORK: Finish the first part of the mitosis internet lesson. This is due at the start of class tomorrow. 1. Mitosis Notes: Title each piece of the cell cycle. Write three highlights/notes about each part of the cell cycle. 2. Watch some mitosis videos using Mr. Scholz's website. Mr. Scholz has like 10 mitosis videos you could watch. 3. Self Practice: Use your notes and your current knowledge of mitosis and see how well you score on the practice quizzes. 4. HOMEWORK: Your mitosis flip book must be finished tomorrow by the START of class. I am going to take a grade on this assignment. 1. Finish coloring Mitosis Flipbook. Tomorrow, you will begin taking notes over mitosis. 2. Mitosis Notes - Continue taking outline style notes. 1. Reviewgamezone.com Game I.D. is 27030 . 1. Share your mitosis vocabulary with me. 2. Finish the mitosis vocabulary. I am not going to start grading this assignment until tomorrow. You MUST have this assignment done by the start of school. 3. HOMEWORK: You only have homework if you do NOT have the vocabulary done. 1. Continue working on vocabulary. Don't let the video clip portion upset you. 3. Vocabulary. Use this LINK to open the vocabulary. Make sure you make a copy BEFORE you begin. 4. HOMEWORK: NONE. You will finish your vocabulary tomorrow. 1. Make an illustration of your cheek cells in your science journal. 2. Turn in your science journal. 1. Finish Virtual Microscope Lab - Cheek Cells. You will turn in your science journal before leaving class today. 2. Learn how to make a stained wet-mount slide of your cheek cells. 1. Watch video on compound microscopes. 2. Virtual Microscope Lab - Cheek Cells. You MUST watch the video tutorial BEFORE doing this assignment. 3. HOMEWORK: NONE. I will give you time tomorrow to complete this assignment. 1. Makeup Organelle Quiz - click on link from yesterday. 2. Finish yesterday's homework assignment. You will need to leave your science journal with me at the end of class. I will grade whichever option you chose to complete for me. 3. HOMEWORK: NONE . . . actually, you could try out the following games and let me know what you think of them like how "fun", did you find it educational, would you recommend it, etc. 2. HOMEWORK: Pick one of the options below to complete for homework. It is your choice! Have at LEAST half of the assignment done for tomorrow. I will give you time in class to finish the rest. There is extra credit on both options. 2. Review for tomorrow's quiz. 3. HOMEWORK: Study for tomorrow's quiz. You will NOT be able to use your plant and animal cell manipulative. You will need to know the organelle functions from memory. 3. HOMEWORK: Start reviewing for this coming Tuesday's quiz. 1. Collect Adaptive Curriculum Assignment. 3. Micro Slide Viewer Activity. You will start this today. 4. HOMEWORK: On Tuesday, September 29, you will take a quiz over the organelle functions of the plant and animal cells. You will need to know this information since you cannot use your science journal on this quiz. ﻿1. Your Adaptive Curriculum assignment is due tomorrow. 1. Finish making illustrations over prepared slides. 2. HOMEWORK: Study for microscope quiz. You will be required to label the microscope diagram. Yes, spelling counts. Monday, September 21, 2015 -- From this day forward, I will no longer continue the bell ringer section. 2. View 2 prepared slides and make an illustration on high power. Bell Ringer: Identify if the picture is a plant cell or an animal cell? Bell Ringer: How many new words can you make from CELL MEMBRANE in 60-seconds? Bell Ringer: Make a list of 3 different types of cells you have in your body. 1. Take What is Life Test? 2. After the test, download Chapter 2 and SAVE it to your science file folder. d. Save this chapter to your science file folder. 3. HOMEWORK: Download Chapter 2 and read section 1, pages 38-45. The page numbers are printed on the pages. All you have to do is READ. Please do not answer any questions from the book. Bell Ringer: 1. What does this graph show? Do not just write the title. 2. What year was this data collected? 3. Where did this data come from? 1. Take LDA (Locally Developed Assessment) in class using Acuity program. Grade 7 Science Review Guide. You will take a test over the listed items. 1. Vocabulary. Re-study the definitions to these words: biogenesis, cell, homeostasis, organism, respiration, spontaneous generation, independent variable, dependent variable, hypothesis, problem, control, bias, qualitative data, quantitative data, and scientific method. 2. Mrs. Gren. You should be able to state what each letter of the acronym means and should be able to apply the information. Examples: What allows an organism to change position? What characteristic creates waste products? When an organism reacts to its environment? 3. Reading comprehension. Online practice over the readings you did for homework and class. Sorry about the length of the addresses. Bell Ringer: What does the "G" in Mrs. Gren mean? 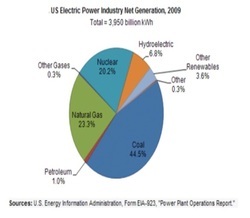 Bell Ringer: Examine the graph below before answering the questions. Bell Ringer: Based on the reading passage handed out in class, what is scientific inquiry? A. The process of finding answers to scientific questions. B. The process of making an observation. C. The process of finding a hypothesis. Bell Ringer: Which statement is an example of scientific inquiry? C. Explaining how to wash a car. 1. Download Chapter 1 and save it to your science file folder. Hover over the Grade 7 tab. You should see a pop up menu. Select Grade 7 Science Reading Chapters. Once you open the tab, select Chapter 1, download it and save it to your science file folder. 3. Answer 10 reading comprehension questions. You will have a quiz over this material tomorrow! 4. HOMEWORK: Finish reading and answering questions that you did NOT finish in class. Bell Ringer: List three things that all living organisms need in order to survive. Bell Ringer: Draw a Venn diagram that compares living things to nonliving things. Bell Ringer: Write a definition of the word LIFE. Bell Ringer: Identify if the statement below is an observation or inference. Ms. Young is wearing a blue polo. 1. What is the variable that YOU the experimenter can adjust and change called? 2. What do you call the measurements of the results from what you adjusted? 1. Complete the backside of the independent and dependent variables worksheet. 2. Prepare for the Alka-Seltzer Lab. Bell Ringer: Generally speaking, in any given model or equation, there are two types of variables: Independendent variable - The "input" values that you can change in an experiment; dependent variables - the outcome values that result from the indenpendent variables. Doctors want to know if a new medicine can cure AIDS? 3. Test only using the same kind of medicine on everyone. 3. HOMEWORK: Just finish # 6 - 9 on the worksheet. These answers are due at the start of tomorrow's class. Bell Ringer: Examine the data table. How many people like playing softball? 1. Complete bean activity. To complete this activity, you will need to answer two conclusion questions AND will make a bar graph. 2. HOMEWORK: By the START of class tomorrow, please have the following words defined: independent variable, dependent variable, hypothesis, problem, control, and bias. I will add a few more vocabulary words in tomorrow. Bell Ringer: Round the number 4.482 to the nearest whole number. 2. Go over the mean for each bean. 1. Share data with class members. 2. Calculate the mean for each type of bean. Round numbers to the nearest whole number. 3. HOMEWORK: Please make sure you have the means calculated for tomorrow's class. Bell Ringer: What is the first consequence on the Perry Heights Middle School disciplinary form? 1. 15-Bean Activity. Today you will complete the data section of the lab given to you. 1. Self evaluated and peer evaluated Summer of Science writing assignment. I did not collect this writing assignment. It needs to remain in your science journal. 1. The class finished setting up the science journal. 2. Summer of Science Writing. You were given time to brainstorm a list of 5 scientific things that happened to you this summer. 3. HOMEWORK: Follow the directions on the Summer of Science sheet to finish your writing assignment this evening. It is due tomorrow at the start of class regardless if you are in my class or Mr. Scholz's class. Bell Ringer: None. I need this time to set up your science journals. 2. Begin setting up science journal. 3. HOMEWORK: No science homework, but if you have not turned in your paperwork from homeroom, you need to get this done. You have several sheets to turn back in to your homeroom teacher. 1. Class did not meet today due to morning assembly.